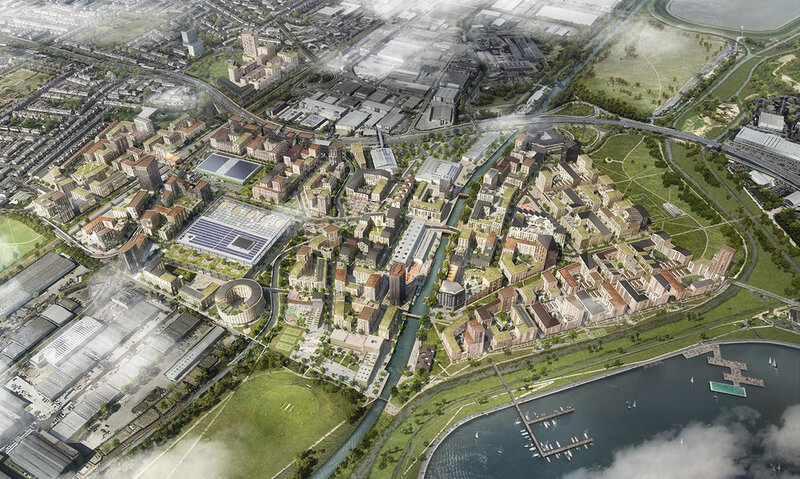 Meridian Water is one of the most important and exciting urban regeneration projects in London, seeking to deliver 10,000 new homes, a new railway station, retail and community facilities, and an adaptable mix of employment space. Lewis Hubbard Engineering has been employed by the London Borough of Enfield to manage the civil engineering elements of the development. With the site highly constrained by flood risk, ground contamination and transport access, the close collaboration of engineering, architectural, planning and construction teams is essential to deliver an attractive and viable development. Our work is therefore focused on the establishment the infrastructure needed to unlock the site and how this can be designed and delivered in the most effective manner.